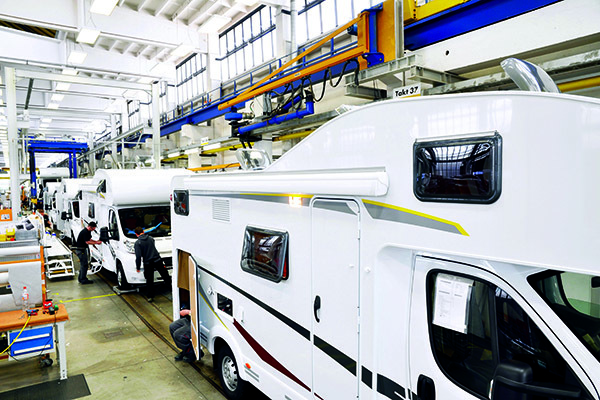 It's clear the RV industry needs an overhaul, with the issue of regulation and compliance becoming a massive problem. There's probably no bigger issue facing the RV industry today than that of regulation and compliance and those brave enough to speak out about it will tell you the industry needs an overhaul. Multiple industry leaders say pretending it's not an issue is a dangerous path, predominantly for the RV enthusiasts, who are unknowingly putting their lives at risk by potentially buying from cowboy manufacturers who are able to skirt around safety due to a loose law. There are few more heated up about it then Colin Young of the Caravan Council of Australia. He says very simply, “the prime cause of all the problems is the Government-permitted use of ‘self-certification’ of caravans and camper-trailers (under 4.5 tonne) by manufacturers and importers”. Young says many vans are significantly heavier than advised, leading to accidents on the road and what he says are potentially lethal non-compliant issues. 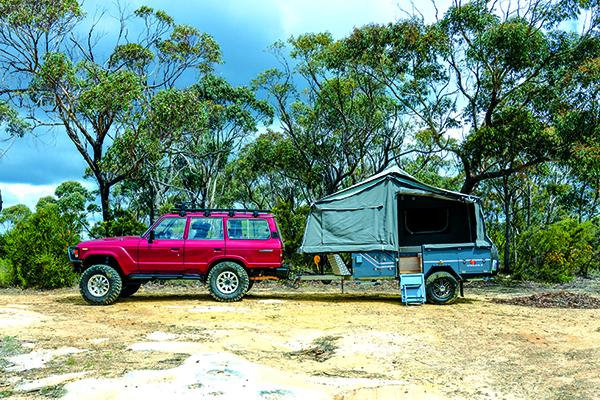 Talk to Malcolm Street, specialised RV researcher and field editor, who has reviewed hundreds of motorhomes and caravans and you realise how broad the issue is. “From a legal point of view, it’s not difficult to build your own caravan or motorhome. If your van or camper trailer has a diesel fired cooker and water heater, then no gas compliance (AS/NZS 5601) is required. If the van only has 12V wiring, then no electrical compliance (AS/NZS 3000/3001) is required. Even when applied these are often interpreted differently in different states. There is at least one case, in the gas standards, where something legal in Victoria is not legal in Queensland. To say the least, this is confusing." He says motorhomes and campervans are a little different, but have their own issues. "When imported into the country cab chassis' are required to get compliance on the vehicle as is. If built into a motorhome, which effectively changes the profile/weight of the vehicle, then second stage compliance is required. However, this can be circumvented by buying a cab chassis, registering and driving for 50 kilometres – it becomes a used vehicle and no second stage required." Street says in Victoria, where 75-80% of caravans are manufactured, it gets even more complicated. “Caravans, motorhomes and campervans manufactured in Victoria are not considered by Energy Safe Victoria to be an installation and therefore do not require Electrical Certification so don't need to be signed off by a certified electrician ….. anyone can wire up and connect a 240V system in a caravan. "It’s bizarre because in theory it’s possible to have a house with a dodgy wiring connection which is never detected because the house never moves. A caravan on the other hand moves all the time". Sunseeker Caravan founder Chris Michel, a mechanic by trade, and a self proclaimed “mad caravanner” says the problem starts because most manufacturers are in it for the wrong reasons. “Some manufacturers don't like caravans and don’t stay in them, and one thing I find interesting is that as dealers we need to jump through serious hoops, but to be a manufacturer anyone can do that because it’s a glorified trailer and that’s the biggest flaw." He empathises with customers saying, “there’s no regulation and no accountability in manufacturing”. “They need to become licenced and that will weed out 50 percent overnight because there are so many dodgy people doing it. "There are many short cuts with wiring and people aren’t using trades people .. the industry need to be certified to a higher level and a breach needs to be severely dealt with … there are repeat offenders, but there's no recourse." 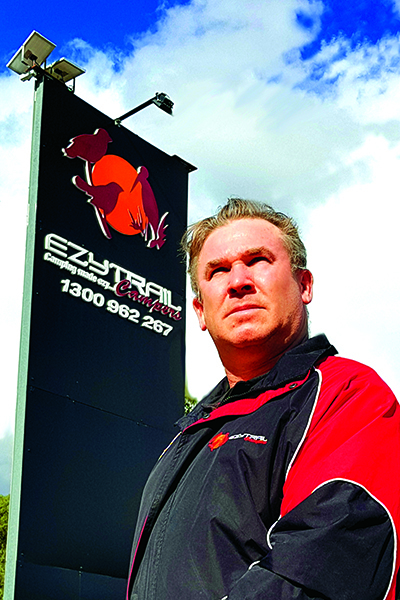 Ezytrail Campers group general manager Dean Porter, which is one of the largest importers of camper trailers in Australia agrees the industry needs an overhaul. 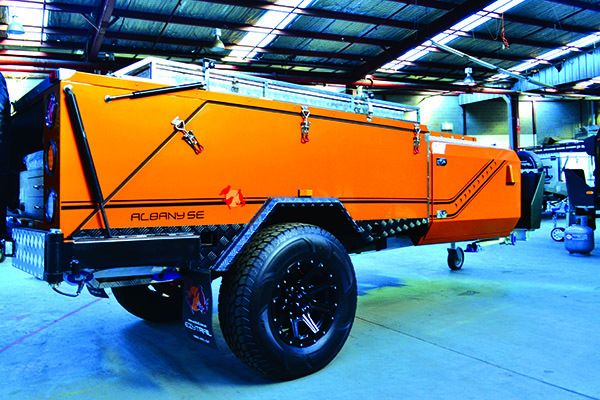 "We are imported campers but we have to meet Australian design regulations and we have an engineer who spends 12 – 18 weeks a year in China to bring up standards and our products are more compliant than any Australian product." He says the biggest issue people are flaunting is weight, saying, "towing vehicles over three tonne is way to heavy for unqualified consumers". "Like the building game there has to be industry association regulation and the problem is association boards are stacked heavily with owners of companies. It’s a boys club and there are too many small manufacturers that are cowboys and not enough consumer warranties." He says the way things are going, there'll have to be Government intervention. One of the oldest established caravan manufacturers in Australia, Roma caravans director Mark Palmarini says he would hate to see the introduction of government regulation. "It creates a lot of confusion and you are dealing with people who aren’t related to caravans. Just look at how many issues small business face with bureaucratic red tape, so to put another layer on that would make it hard for niche builders and destroy the industry." He questions why industry bodies aren't ensuring weighbridges are mandatory. "How could a weighbridge not be a part of your tool of trade and how can associations allow that to even happen? It’s pure negligence that a manufacturer has no responsibility on what they are building." He says another major issue is the lack of certification. 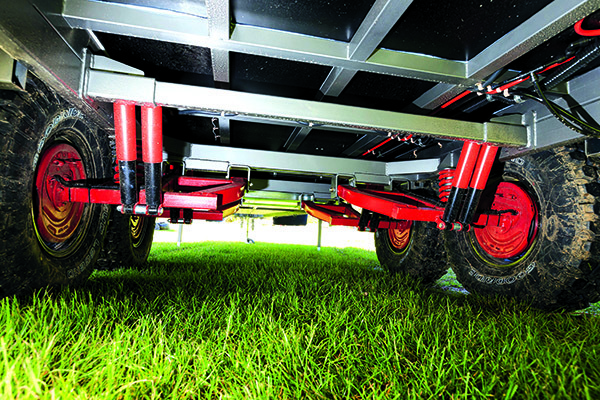 "Caravan builders don’t even have draftsmen, they blatantly steal plans and we’re talking about key drawers of where the axle sits... and there is not proper certification on that and again compliance isn’t there." "It’s got to change and it has to change from the State and Federal associations. It's the elephant in the room." Richard Barwick of Campervan & Motorhome Club of Australia says too often it hears of incidents where consumers have to fight the battle to ensure compliance. "The protection of consumers is imperative and too often we hear of a negative incident where consumers have to fight to meet the minimum Australian standards." He says consumers research as much as possible but it's the relationship of between seller and buyer that needs to be treated professionally. "Whether it's Australian or imported RVs, the consumer needs protection if something fails or isn't installed correctly and if it's an own built RV then the responsibility stops firmly with the builder/owner and they should face the full legal ramifications and be processed to the full arm of the law. No-one is above the safety of others." The second largest RV club in Australia, the Australian Caravan Club chairman Craig Humphrey says warranty alone is a huge issue for industry. "With cars if there's anything wrong you take it to the dealer but mostly in caravans you have to deal with the manufacturer and you can’t take it back to where bought it… and there could be ten items from different companies so it's a very disjointed arrangement." He says industry needs to take a good hard look at itself. "We think there’s a role to have a good dialogue around this. You don’t know what you don’t know. There’s a lot in the industry going on and there needs to be leadership around holistic dialogue of industry around service facilities and manufacturing and the regulatory environment." Caravan Industry Association Victoria CEO Rob Lucas concedes there are "gaps" around warranty. "The responsibility is on the consumer and business and what happens is there are gaps .. there’s no doubt there’s gaps, but we’re working very hard to close those to ensure the consumer has a rock solid process to go through." He says we're not alone in this and in the content of the industry, "I would argue there are more people happy than are not and those that are not we have to work harder to make sure they are." Charged with managing the current national accreditation programme is the Caravan Industry Association of Australia (CIAA). Called RVMAP, CIAA says it is a symbol of a manufacturer's commitment to consistently build and supply product that adheres to all relevant Australian Design Rules, Regulations and Australian Standards. CIAA Chief Executive Officer Stuart Lamont says manufacturers are required to sign a contractual licence which includes submitting their product to random and regular inspections against compliance standards. He says, "these inspections now number in excess of 1000 per year up from around 170 just a couple of years ago". Lamont says the focus of an increased industry inspection regime has seen dramatic improvements in the products supplied to consumers and in particular those manufacturers within the licenced RVMAP system. "The number of issues identified by manufacturers within the program are significantly less than those outside of the RVMAP program, and if I as an individual was investing in an RV product I would feel much more comfortable in purchasing a product from within RVMAP than external to the program." He says "suggestions that consumers should not buy accredited product are ridiculous and naive," and "a manufacturer not prepared to subject themselves to industry inspection should be treated with some cynicism relative to those manufacturers within RVMAP." Mark Palmarini agrees saying it was designed to minimise paperwork and tick off a manufacturer's ability to be compliant - but it hasn't succeeded. "There’s been a lack of training on it and there hasn’t been enough revenue to support it .. and it comes to the fault of the stakeholders who are taking the money but ignoring key essential industry issues and that’s ensuring we are compliant industry and not a laughing stock. "It’s all well and good State associations are trying to grab Government money but it comes back to getting credibility and to make industry credible then we need to ensure that businesses are compliant on every level and there needs to be proper investment into it and I don’t think there is and this is why the industry is failing in this area." According to Chris Michel while CIAA is pushing hard and lobbying hard the results aren’t getting much traction. "Everyone wants to deflect it to someone else, but put a licencing in place - this isn’t a new industry it’s been around a long time and there’s so much benchmarking that can be put in place and large manufacturers could be contributing."